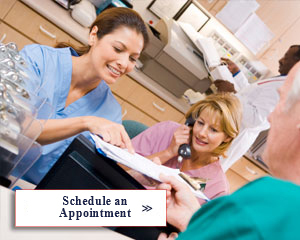 Schedule a consultation at one of our convenient locations in Kissimmee, Davenport or Tavares. As one of the top board certified Vascular surgeons in Kissimmee, Florida, Dr. Scott Hannum is committed to providing expert vascular care to patients suffering from a variety of vascular diseases. Hannum Vascular & Vein Clinic also has a highly educated bilingual medical team assisting Dr. Hannum and caring for patients. For vein treatment, Dr. Hannum uses Venefit™, an RF Ablation proceure. Venefit™ uses radiofrequency energy to precisely and effectively treat patients suffering from Chronic Venous Insufficiency (CVI). This minimally invasive procedure is done in-office with local anesthetic. Patients typically recover in less than 48 hours. Performed using local anesthesia, endovenous laser therapy relies on ultrasound technology to guide Dr. Hannum as he targets problematic veins with a tiny laser fiber. Heat emitted by the fiber closes and seals veins so that they are no longer functioning, allowing the body to safely assimilate them. The Sclerotherapy procedure is a common treatment for small varicose and spider veins. A sclerosing solution is injected into the vein. The vein becomes irritated, collapses and is then absorbed by the body. The VeinGogh Ohmic Thermolysis System generates a tiny, regulated, high frequency current delivered to the vessel via a hair-thin probe. A “microburst” of energy selectively heats the vein, coagulating the blood and collapsing the vessel wall, which is quickly absorbed into the body. We offer a number of procedures to resolve your vascular conditions. Including comprehensive treatments to resolve aching legs, venous ulcers, general leg heaviness, varicose veins, & spider veins. At Hannum Vascular & Vein Clinic, our results speak for themselves. Click here to review before & after photos of actual patients. Patient satisfaction is our #1 priority. Schedule an appointment with Dr. Hannum for a proper diagnosis.